‘Made in’ matters, but Fair Trade is more powerful because it introduces the consumer to the actual producer of a garment, argues Safia Minney of People Tree. LONDON, United Kingdom — The ‘Made In’ label matters more than ever. It is the start of offering transparency and accountability to the consumer. In the same way that consumers asked for a fair deal for coffee farmers and other agricultural commodities in the early 1990s, they are now demanding it of fashion. This has been brought on, in part, by a swell of concern after the horrific collapse of the Rana Plaza factory complex in Bangladesh, an industrial tragedy killing 1,134 garment workers, which triggered the making of the movie True Cost, raising further awareness of the continuing abuse of human rights and environmental laws by fashion companies and their suppliers. The fashion industry needs to face up to its responsibility in its overseas supply chain. I believe company directors should be made legally responsible for criminal activities committed in the name of their companies. ‘Made in’ matters, but is it enough? Fair Trade fashion goes further than ‘Made in’ labelling, as it introduces the actual producer of a garment to the end customer. 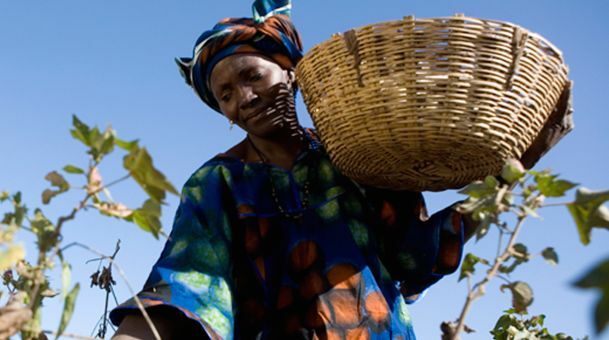 The World Fair Trade Organisation (WFTO) defines Fair Trade as: “a trading partnership, based on dialogue, transparency and respect, that seeks greater equity in international trade.” Products produced through Fair Trade partnerships can revive organic agriculture and protect craft skills and are made within the country on the label and with respect to the environment. The consumer considers Fair Trade purchases like any other, based on aesthetic, brand, quality and value for money. But increasingly, they also want to know that the goods they buy are made with respect for people and the environment. Consumer cupboards are full and they are increasingly frustrated by the speed of fashion and looking for greater connection with producers and an ethical lifestyle. Fair Trade recognises, promotes and protects the cultural identity and traditional craft skills of small producers within a given region, bringing deeper meaning to the label ‘Made In.’ For example, People Tree’s producer Swallows, based in Bangladesh, uses handlooms to weave the fabric used to make clothing. Practiced by 10 million people in Bangladesh, hand weaving is the country’s biggest employment sector after agriculture and the skill of Bengali handweavers has been renowned and revered internationally for thousands of years. Handweaving is also carbon neutral, so customers can choose hand-woven, climate-friendly clothing to fit with their values. Each country has different “natural advantages” due to the skills of its people, their heritage and their geographical location. For People Tree, organic cotton craft and traditional skills are vital to the design process, adding value to the final product by helping to create a unique point of difference and bringing solid benefits to farming and artisan communities. We supply Indian organic cotton for our People Tree collaboration with Lee in Japan (produced in Japan) and hand-woven, hand-embroidered uppers for Tatami, a Birkenstock brand in Japan. More companies need to show the commitment to engage responsibly with their supply chain. Ethical credentials will come from these initiatives, but consumers are increasingly sceptical of ‘green washing’ or superficial ethical policies or claims made without third-party audits. For example, the Ethical Trading Initiative (a voluntary code) is widely considered to have no teeth. In September 2013, the WFTO launched a new Fair Trade manufacturing labelling system, which guarantees Fair Trade principals are met throughout the supply chain, which will help to ensure that people know if companies are living up to their messaging on ethical policies. Placing a World Fair Trade Organisation label on a product acts as a guarantee to the consumer that manufacturers comply with the Ten Principles of Fair Trade: fair wages, working conditions, transparency, capacity building, environmental best practice, gender equality and setting standards for conventional fashion companies to improve their supply chains. Ten years ago People Tree launched the first clothing range to meet the Global Organic Textile Standard certified by the Soil Association. Nearly 70 percent of our collection carries the Fair Trade mark and/or the Soil Association organic mark, guaranteeing small-scale cotton farmers in developing countries receive a fair and stable price, as well as an additional premium granting them the opportunity to develop their communities. But third-party audits and certifications should not be used as a barrier that works against the very people that they are supposed to help. Certification needs to be accessible to the poorest of the poor in the developing world. For People Tree this is about the value added through capacity building, through which small scale producers are given the tools to develop their management skills, production capabilities and access to markets and design, ensuring that the products they produce attract fair prices and long-term orders. Fair Trade is more than just detailing the country where a product is made. It relays the story of the farmers, artisans and tailors who make our products, as well as the heritage, culture and sustainability of their goods. ‘Made In’ needs to go to deeper and Fair Trade is a good example to follow. Safia Minney MBE is the founder and chief executive of People Tree. **This article first appeared on Business of Fashion here. This entry was posted in Brands, Organic Cotton and tagged Business of Fashion, Cotton, Fairtrade, People Tree.